Sawthis Made Me Want To Saw My Ears Off! How do you objectively review something that you cannot stand? That is the question. It is not the band or their album specifically, but for me it's the whole genre/style that I don't enjoy listening to, opting more for the melodic metal sounds personally, but here I am. 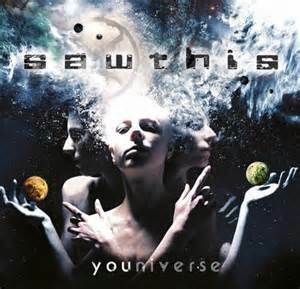 I received the new Sawthis record, Youniverse via download for review, due for release on September 30th, 2013. I immediately noticed the song titles, all consisting of only two words, "The .........", like each was telling it's own story. I put it on and couldn't even get through the first track.......better try again another day........same result, this could be tough! On the third listen I was more in an experimental and open mood, making it all the way through "The Logical Colours" lead track, but allowed my attention to wander during the second track, "The Waking Up", leaving the computer to do something else, the music having blended into the background. My ears then caught the opening riffs of the third track, "The Voice Falls On Me" and it drew me back quickly. While the verse is still a little screamy for me the chorus itself is quite melodic and I found myself enjoying the track. Next up is "The Disturbed", starting off furiously and returning to the screamy, but not totally unintelligible vocals, this track grows on me with some listens. "The Crowded Room" follows featuring an excellently catchy chorus that I found myself singing along in my head long after I had finished the listen. "The Indelible" follows suit with the growly, screamy cookie monster style verses, but a catchy melodic thrash chorus. The next songs of "The Impure Soul", "The Spotlight", "The Mad" and "The Switch" basically follow in the same vein, blending away again with nothing new sounding here from the rest of the material to the untrained thrash hating ear such as mine. Closing out with "The Walking" which is probably the best song on the album, mostly because the vocals are more discernible throughout, the Italians' album clocks in at just under an hour with the eleven tracks contained in Youniverse. recording, Fusion and aggressive touring throughout Europe. Six years after that they served up the second collection of songs called Egod. 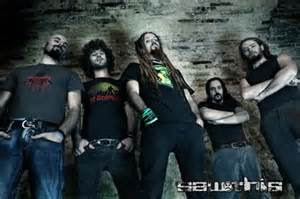 The band is comprised of Alessandro Fala on vocals (or unintelligible screams) Adriano Quaranta and Janos Murri (Murri replacing original member Andrea Giordano) on guitar, Gaetano Ettorre on bass and Michele Melchiorre behind the kit. According to their Facebook page Sawthis' third effort, Youniverse, is a conceptual album dealing with the multiple personality disorders disease. For all intents and purposes, everything that I've read about this band says they are on the rise and a definite must to check out if you're a fan of the genre, which I am obviously not. 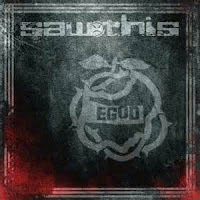 If this album was only recorded using the choruses of the songs it may be more my speed, but even so I felt compelled to purchase Egod, not giving up on Sawthis just yet. As much as I want to like Sawthis I'm just not sure I can do it, I'll get back to you.